Are you looking for a unique present for your colleagues, or a cute Christmas gift to surprise your family with? We can help you with it! 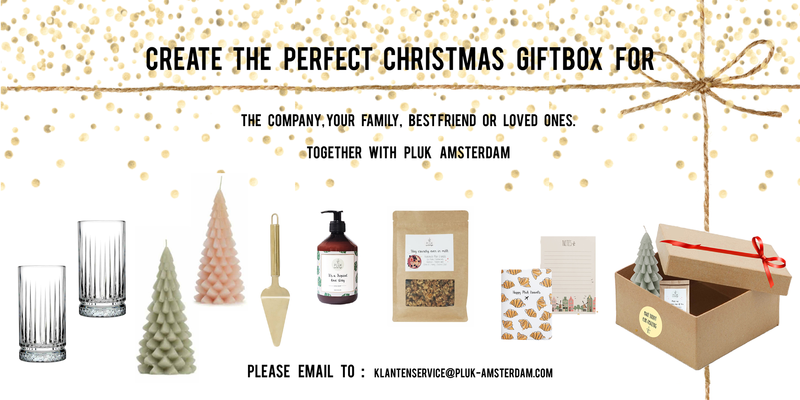 Together with Pluk, you can create your own giftbox. Pluk ensures that all gift boxes are beautifully wrapped, also you can even add a handwritten card. You can create the box from a minimum of 20 euro a box. So are you looking for a Christmas present, a relation gift or just a thank you present?